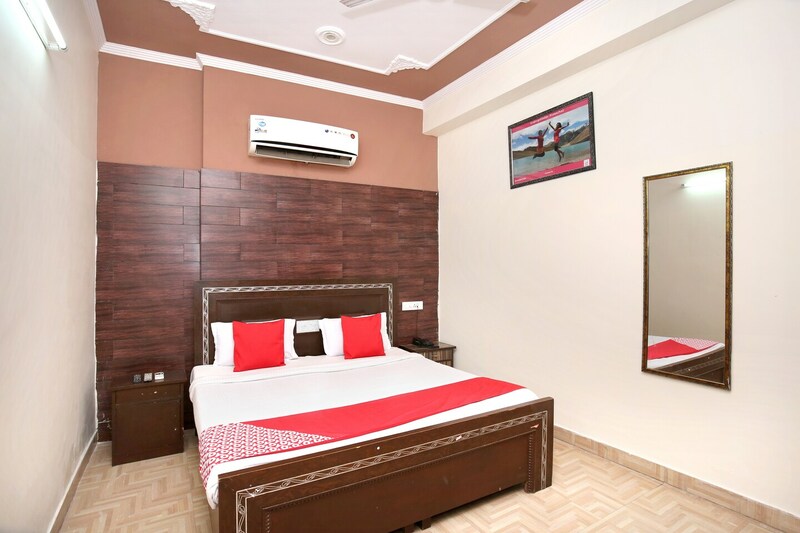 Enjoy a tender and restful stay at Hotel Re-birth, close to Chandigarh Railway Junction convenient for outstation travelers. The hotel has a modern and simple outlook with pastel and earthy decor. The uniquely designed rooms are spacious with well-furnished modern interiors is cozy. The minimalistic room with a simple decorated ceiling and lighting keeps the room well-lit. The bathroom is simple with modern fittings. Various facilities available are free wifi. The seating area is warm and comfortable for guests gatherings. Several tourist spots like Cactus Garden, Mansa Devi Temple, and Rock Garden are in close proximity to the hotel.